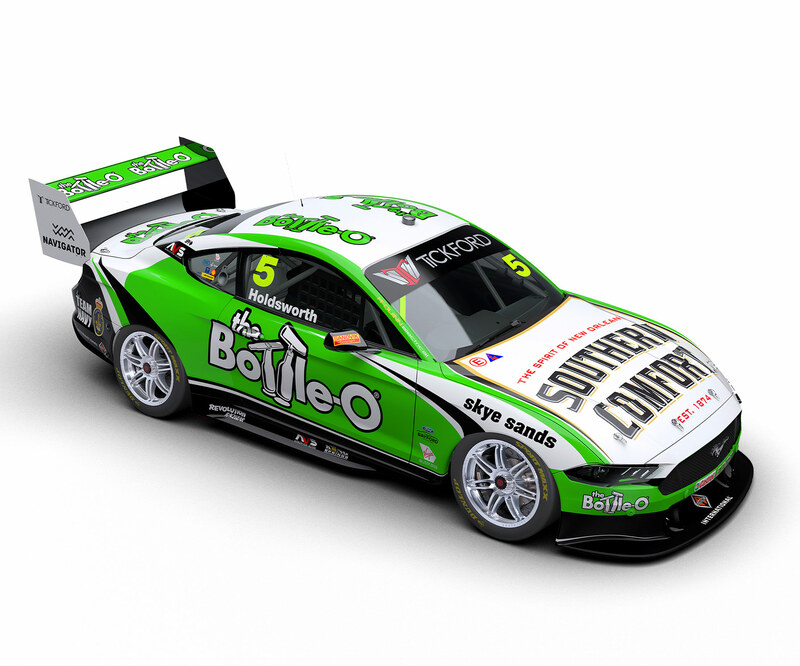 Lee Holdsworth enters his 14th season of Supercars in brand new surroundings, joining Tickford Racing to drive its Bottle-O Mustang. Holdsworth arrives in what is effectively a straight swap with Mark Winterbottom, who moves to Charlie Schwerkolt's Team 18 Holden outfit. He spent four years with Schwerkolt, initially under the Walkinshaw Racing umbrella in 2015 before going it alone, with a best championship finish of 14th. That stint was marred by injury in 2016, when Holdsworth crashed heavily at Hidden Valley and missed three events. Holdsworth’s career began when he was seven, racing karts and Commodore Cup before progressing to the Dunlop Super2 Series in 2004. In that class he caught the eye of Garry Rogers, getting an enduro drive in 2005 and full-time opportunity in ’06, taking his first podium mid-year at Oran Park. One year later at the Sydney circuit, Holdsworth claimed his maiden Supercars race win, taking a second victory with GRM at Homebush in 2010. He moved to Stone Brothers Racing for 2012, which morphed into Erebus Motorsport and swapped Fords for Mercedes machinery the following year. That program was a grind, but Holdsworth did take his career tally to three wins at Winton in 2014, before linking with Schwerkolt. Established in December 2002 after UK giant Prodrive bought Glenn Seton Racing, this championship and Bathurst-winning Ford squad now operates as Tickford Racing.